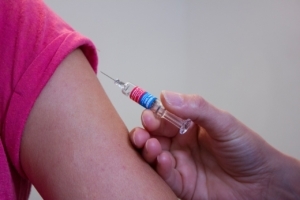 Which South America travel vaccinations do you need on your holiday? It goes without saying that when heading to South America from Australia or other countries, travel vaccinations may be recommended or required in order to minimise and prevent the spread of particular diseases and your chance of catching them. Whist the risks of contracting any of the following will vary depending on which country or even region that you are travelling to in South America, here is a general list of travel vaccinations for South America to consider before your trip and health conditions to be mindful of. In most cases there are also measures you can take to minimise your chances of contracting diseases as well. Important Note: This information about South America travel vaccinations is provided as general advice only and you should always visit a certified Travel Doctor who can prescribe and supply travel vaccinations for you as well as check with your General Practitioner who can advise if any of these will interfere with any existing medical conditions or medications you are taking. Travel vaccinations are available for diseases such as Yellow Fever, Hepatitis A + B and others which are present in South America. Here is a list of general South America travel vaccinations to be taken as a precaution for travellers. The following conditions are present in one or more countries in South America but you should always check based on the specific places you are travelling to. Vaccination for Hepatitis A is recommended for most South American countries as it can be transmitted through food and water. Australian Travellers to South America are recommended to obtain the Typhoid vaccination as this can be transmitted through food and water. Travellers to South America are recommended to ensure that their regular vaccinations such as measles-mumps-rubella (MMR) vaccine, tetanus, diptheria, varicella (chickenpox) vaccine, polio vaccine, and your yearly flu shot are up to date before travelling in order to contain the spread of any of these diseases. Certain regions, zones or places in South America will be home to certain cases and or conditions that can put you at risk of disease but there are often vaccinations or precautions you can take to minimise your chances of impacting your health. Rabies is present in some animals found in South America across a number of different countries however the risk of contracting this is not great unless – you are likely to undertake outdoor activities such as camping, find yourself in a situation where you are playing/patting animals (particularly so for children) or working with them (such as a wildlife researcher.) If you are, make sure you consult with your doctor. 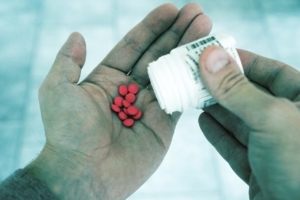 Your travel doctor can prescribe medication to help prevent disease such as malaria or help with altitude sickness you may come across when travelling South America. Several South American countries and cities are considered to be located in high altitude regions such as Cuzco (gateway to Machu Picchu), Atacama (Chile), Quito (Ecuador) & La Paz (Bolivia) and symptoms of altitude sickness (also known as mountain sickness) can start to present themselves in places of higher than 2000 metres above sea level. There are tablets you can take to assist with the acclimatisation process as well as precautions such as drinking lots of water and limiting alcohol or large meals to help your body get used to the lack of oxygen. You may be at risk of contracting Hepatitis B through blood or sexual activities so if you are likely to engage a new sexual partner, get a tattoo or undertake a medical procedure, you should consider taking the Hep B vaccination. Traveller to certain countries in South America (especially jungle zones) may be at risk of contracting Yellow Fever from mosquito activity but can get the Yellow Fever Vaccination to prevent contracting this. Travellers should take necessary precautions to avoid mosquito bites such as wearing long sleeve clothing to cover exposed skin and using a certified DEET mosquito repellent on your skin or even a permethrin based repellent for your clothing, shoes, camping gear and bed netting. 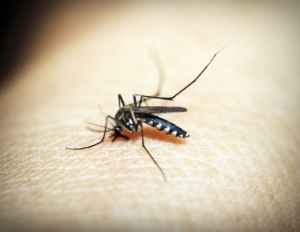 Preventing and minimising mosquito bites in South America can help prevent you contracting and spreading diseases such as Yellow Fever, Dengue Fever, Malaria and the Zika Virus. Travellers to certain countries or zones in South America (especially jungle zones) may be at risk of contracting Dengue Fever from mosquito activity. There is no vaccine for Dengue Fever. Travellers to certain countries or zones in South America may be at risk of contracting the Zika Virus from mosquito activity. There is no vaccine for the Zika Virus. As well as specific vaccinations you can take as travel health precautions, there are some other measure you can take to work towards a safe and healthy trip to South America. 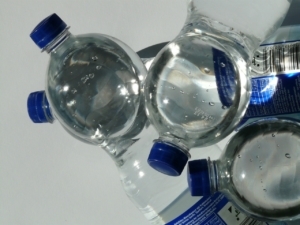 Drinking bottled water is recommended for travellers to South America. All travellers to most countries in South America are recommended to drink bottled water to limit their chances of attracting both diseases and/or stomach upsets. Also, if possible try to wash your teeth with bottled rather than tap water. Upset stomachs, or traveller’s diarrhea is the most predictable travel illness and can occur when travelling in South America because of the different bacteria strains present in both the food overseas as well as each individual’s gut lining. That fact however shouldn’t stop you from savouring the local cuisines and there are always safety measures you can take. The most important being to wash your hands thoroughly or use a liquid sanitiser before eating as well as choosing food that is cooked through and from reputable establishments. Please remember that this advice about South America travel vaccinations is general in nature only. You should always visit a certified Travel Doctor who can prescribe and supply travel vaccinations for you as well as check with your General Practitioner who can advise if any of these will interfere with any existing medical conditions or medications you are taking.